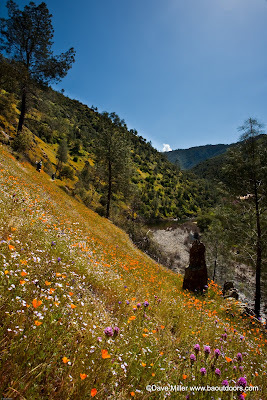 I had an opportunity to get my camera (and me) back to Hite's Cove Trail last Sunday to try to capture more of the incredible wildflowers of the Merced River Canyon. 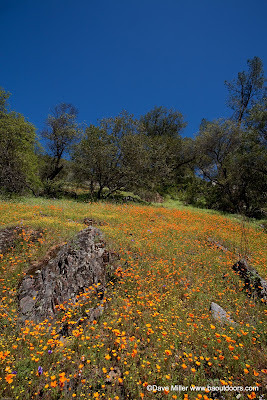 I am happy to report that lots of wildflowers are still carpeting the hill sides, however, the poppies are definitely fading. The endless sea of orange that I experienced ten days before was replaced with a more colorful scatter of yellows, blues, reds, whites and purples. I wish I could list off all the types of wildflowers that I saw, but I just don't know the names (yet). I also spent a little time up on Mission Peak on Saturday. The hike up was grueling as ever, but the hills were bright green with lots of little purple flowers down low. It was pretty crowded, but definitely a good hike and a great time. 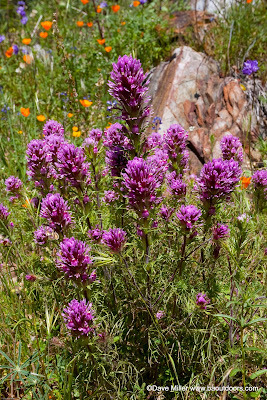 The next month is the perfect opportunity to get out and to get your boots on, see some wildflowers and enjoy the many trails of the bay area and beyond.